Like so many of our most inspirational American role models, Dolley Payne Todd Madison rose from humble origins. John and Mary Coles Payne gave birth to their first daughter on May 20, 1768, in New Garden, North Carolina (near present-day Greensboro). She would later relate that her parents were in North Carolina on a visit to her uncle when she was born, but that was not strictly true. John Payne, with all the zeal of a convert, had moved his family to North Carolina in order to raise them within a close-knit Quaker community. After only a few years, he moved his family back to Virginia in 1769, with the infant Dolley in tow. It is not known why they gave up their venture so soon after settling there, but he sold his North Carolina holdings at a loss. Dolley spent most of her girlhood in Hanover County, Virginia, north of Richmond. There are few surviving records from these years, but it is certain she had some schooling as a child. Showing an early predilection for worldly delights, her most valued possession was a gift of jewelry from her grandmother. So as not to offend her Quaker relatives, she sewed her treasures into a little pouch that she wore around her neck. Her earliest personal calamity was losing that pouch on her way to school. When Virginia made it legal to manumit one’s own slaves in 1782, John Payne, true to his Quaker convictions, freed all of his slaves and moved the family to Philadelphia in 1783. Philadelphia was at this time the American hub of the Society of Friends, but it was also the most populous and sophisticated city in the new Confederation. Dolley would be ensconced in an insulated and strict society, but she would also be surrounded by the bustle and finery of numerous worldly temptations. The latter seemed to have a more lasting hold on her heart. Long after she had ceased being a Quaker, she was apparently still giving offense by the cut of her gowns. On the eve of James Madison’s inauguration as president, a friend sent Dolley a gift of some handkerchiefs, for “shading her lovely bosom from the admiration and gaze of the Vulgar.” A love of fashion and ornamentation appears to have been a constant in Dolley’s nature, and Philadelphia was a challenging location for the Paynes to attempt inculcating in their daughters a preference for modest simplicity. Temptation would be a two-way street upon Dolley’s encounter with the cosmopolitan city. Lifelong friend Anthony Morris would recollect that “she was the first & fairest representative of Virginia, in the female society of Philadelphia, and, she soon raised the mercury there in the thermometers of the Heart to fever heat—but she was not altogether in appearance a Virginian; her complexion seemed from Scotland, and her soft blue Eyes from Saxony.” She soon had numerous admirers. But it was not long before her family was beset by more serious trials than the parade of persistent beaux competing for the hand of their eldest daughter. Dolley’s father had opened a starch business when the family moved to Philadelphia. But by 1789 it had gone bankrupt and he was being read out of his cherished Society of Friends. This downturn of fortunes devastated the man. He took to his bed, apparently sunk into a serious depression, for the brief remainder of his life. Dolley’s mother began taking in boarders in order to keep the family afloat. It was in the midst of these travails that Dolley married John Todd, a promising young lawyer, in 1790. By some accounts her father had pressured her into the match while on his deathbed, but to all appearances it was a happy and loving union. The Todds had two children, John Payne and William Temple. Shortly after the birth of her second son, however, an epidemic of Yellow Fever ravaged the city. Dolley fled to the suburbs of Philadelphia with her young family to escape contagion, but John Todd stayed behind to nurse his parents and his law clerk (who all perished nonetheless). Dolley lost her husband and her infant son to the fever on the same day, October 14, 1793. When the danger had passed, the young widow returned to the city with two-year old John Payne Todd. She would have to battle her villainous brother-in-law over her rightful inheritance and begin her life anew. The following spring, Dolley was informed by her friend Aaron Burr that “the great little Madison” wished to meet her. James Madison was then serving as a Congressman in the nation’s temporary capital of Philadelphia, but he was best known as the leading architect of the Constitution and the Bill of Rights. Their first meeting must have been sensational, for the 43-year old “confirmed” bachelor almost immediately began courting the pretty young widow, a woman 17 years his junior. They were married only a few months later (and less than a year after her first husband’s death), on September 15, 1794. James was an Episcopalian, and Dolley could no doubt have anticipated the consequences of her choice to marry outside of her faith. Her younger sister, Lucy, had earlier eloped with George Steptoe Washington, a nephew of the President and also an Episcopalian. Both sisters were read out of the Society of Friends, and both embarked upon lives that seemed to suit their inclinations better than their upbringing. They began mixing in important circles and commenced a life of worldly power, prosperity, and gaiety. To be in her company was to be charmed by her; she made a conquest of nearly everyone she met. One foreign dignitary enthused: “I have, by turns, resided in all the courts of Europe, and most positively assure you, I never have seen any Duchess, Princess, or Queen, whose manners, with equal dignity, blended equal sweetness.” It was not any one feature of Dolley’s that captivated; “‘tis not her form, ‘tis not her face, it is the woman altogether whom I should wish you to see.” Her niece recalled simply, “you like yourself more when you are with her.” Her charm was an essential feature of her character throughout her life. But when married to a political man, this personal attribute cannot fail to have political consequences. When the Federalists came to power in 1797, the Madisons enjoyed a brief retirement at his family home, Montpelier, in Orange County, Virginia. But a retreat from public service was not to last long. The Madisons moved to Washington, the new capital, in 1801, when James began his tenure as Jefferson’s Secretary of State. They stayed with the President for a month – and Jefferson seemed to prefer that they stay on – but they demurred. The couple found their own place in the Six Buildings on F Street, where they lived between 1801 and 1809. Dolley here became renowned for her consummate skill as a hostess. Even President Jefferson, a widower, called upon Mrs. Madison on numerous occasions to do the honors of the President’s house when he wished to entertain mixed parties. 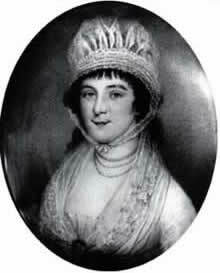 Dolley therefore occupied the role of First Lady even before she officially ascended to that rank. When Jefferson stepped down after his second term as President, James Madison was his natural successor, and he faced no serious challenge within his own party. The election of 1808 was not even very close. James was a highly respected and gifted politician, but Dolley’s influence on her husband’s political success should not be underestimated. Certainly his rival, Charles Cotesworth Pinckney, did not underestimate it. After his defeat, he reportedly averred, “I was beaten by Mr. and Mrs. Madison. I might have had a better chance had I faced Mr. Madison alone.” Dolley was the most popular hostess in Washington; she possessed the knack for furthering her husband’s goals while seeming to remain herself above the partisan fray – at least to the outside observer. In a city that bustled with too many political men and too few ladies, she introduced a social sphere where men could put aside their differences and soften their manners. If America's Founding Fathers, such as Madison and Hamilton, had been chiefly responsible for constructing the political mechanisms by which our young nation operated, Dolley was preeminent for oiling the gears of that mechanism – for civilizing the operations of politics. Probably no woman was closer to Dolley than her youngest sister, Anna. She had become a member of the Todd house after Dolley’s first marriage, and then lived with the Madisons after they wed. Anna’s own marriage to Richard Cutts in 1804 was a severe blow to Dolley, for he took her away to northern Massachusetts (which later became Maine). Fortunately, as a Congressman, Cutts frequently brought his wife to Washington with him when he served. 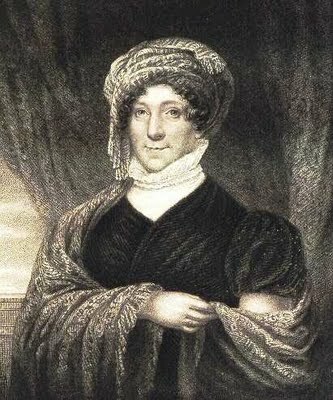 When George Steptoe Washington died in 1808, the widow Lucy likewise often lived with the Madisons, and one wag dubbed the sisters the “Merry Wives of Windsor.” Lucy eventually remarried, choosing Supreme Court Justice Thomas Todd from her many suitors, and moved to Kentucky in 1812. That was the year the Payne sisters successfully flouted the separation of powers and conquered all three branches of government: Dolley presiding at the executive mansion, Anna married to a Congressman, and Lucy to a federal judge. The ordinary vicissitudes of political infighting by itself would have been a sufficient disturbance for the Madison presidency. But the fledgling republic also found itself the pawn of the world’s superpowers, particularly England and France. After numerous unsuccessful diplomatic attempts to assert America’s shipping rights against a contemptuous British navy, Congress finally declared war. Dolley’s letters had been full of this prediction for some time before it actually happened. Just before the declaration, she even wrote to urge her brother-in-law, Richard Cutts, to hasten his journey to Washington so that he would arrive in time to vote for it. By and large, the leading ladies of American society did not play as overt a role in politics as sometimes prevailed in the notorious intrigues of European courts. As befitted republican wives and mothers, however, the women from every social sphere were well-informed and engaged. Tocqueville, traveling through America in the 1830s, marveled that “even the women frequently attend public meetings and listen to political harangues as recreation after their household labors.” Many ladies in Washington, including Mrs. Madison, frequented the galleries of Congress and the Supreme Court in order to listen to the debates. But during the rancorous period surrounding the War of 1812, Dolley found the vitriolic speeches more than she could bear. She wrote to a friend on January 14, 1813, “I stay quietly at home – as quietly as one can be, who has so much to feel at the expression, for & against their conduct.” Dolley did influence the politics of the day, but it was done in a deft, discreet, and thoroughly feminine way. Most of the Federalists, especially New England merchants, had registered opposition to the War of 1812. When the tide turned against the American troops (and it often did), both Mr. and Mrs. Madison found themselves the objects of enmity, aspersions, and even calumny in the press. James had difficulty mustering the troops he needed, especially from New England, and there was even open talk of secession. Ironically, the nation’s lowest point in the war also precipitated the rallying cry they needed to unify the country. The British marched on Washington on August 24, 1814. The city and its residents appeared totally unprepared for this eventuality. 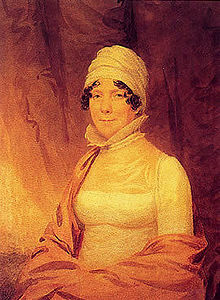 The day before the invasion, Dolley had received a letter from her husband assuring her that the British forces were deemed insufficient to pose a threat to the capital. He did add a warning, however, that it was possible that they might have a greater force “than has been represented or that their temerity may be greater than their strength.” The latter possibility, at least, proved prescient. Dolley had remained defiant amid the mounting threats preceding the British invasion. Her letters during this period crackled with fearless bravado. In the spring of 1813 she had written to her cousin that the military tents erected nearby “already look well, in my eyes, as I have always been an advocate for fighting when assailed, tho a Quaker – I therefore keep the old Tunesian Sabre within my reach.” Referring to the rumors that Admiral Cockburn had threatened to set fire to the President’s house, she responded, “I do not tremble at this, but feel affronted that the Admiral (of Havre de Grace memory) should send me notice that he would make his bow at my Drawing room soon.” The morning before the fateful day, Dolley reported that her husband had asked her “whether I had courage, or firmness to remain in the President’s house until his return, on the morrow, or succeeding day, and on my assurance that I had no fear but for him and the success of our army, he left me.” James was riding to Bladensburg in order to review the troops there. The American defeat at Bladensburg was swift and ignominious, earning the sobriquet “The Bladensburg Races.” The subsequent march toward Washington prompted a panicked exodus of its residents. This crisis – the nation’s lowest point since the Revolutionary War – was Dolley’s finest hour. She had been instructed by her husband to secure the cabinet papers if she were forced to flee, and she stuffed trunks loaded with them into wagons for removal. Then, on her own initiative, she secured something with greater symbolic importance. By Dolley’s own account, during those final moments in the house: “Our kind friend, Mr. Carroll, has come to hasten my departure, and is in a very bad humor with me because I insist on waiting until the large picture of Gen. Washington is secured, and it requires to be unscrewed from the wall. This process was found too tedious for these perilous moments; I have ordered the frame to be broken, and the canvas taken out – it is done, and the precious portrait placed in the hands of two gentlemen of New York [Jacob Barker and Robert DePeyster], for safe keeping.” Dolley’s derring-do during these perilous moments – partly true and partly mythologized – earned the everlasting gratitude and admiration of a country that had grown weary of wartime fears and deprivations. The British limited their devastation to torching the public buildings of Washington; most notably they burned the White House and the Capitol Building. The troops did not stay long, soon growing uneasy over rumors about American reinforcements, and beat a hasty retreat. The Madisons spent a wretched few days fleeing the city and moving from one safe haven to the next. They were separated for most of this harrowing period. James was almost constantly in the saddle, alternately trying to gather intelligence, confer with his cabinet, and seeking assurances that his wife was safe. The couple returned to the devastated city only a few days later. Finding the White House uninhabitable, the Madisons stayed a month at their old residence on F Street (then the home of Anna and Richard Cutts) immediately after they returned. Then John Tayloe, a wealthy Virginia planter, offered his Washington home, the Octagon House, which for a time became the home of the President and his wife. Dolley immediately resumed the tradition of the Wednesday Night Drawing Room, her social graces helping to soothe an irritable public impatient for the war to end. The advantages of placating Washington’s inhabitants were not merely psychological. There was then an active contingent urging the removal of the nation’s capital to another city – most likely Philadelphia – and Dolley had to prove that the half-built, half-burnt city of Washington was resilient enough to merit a second chance. The burning of the nation’s capital, a singular victory for the British, also proved to be the war’s turning point. The Americans’ shame and anguish quickly rallied to thoughts of unity and retribution. Talk of secession became disreputable, tainted as it was with its semblance to wartime treachery. The British, becoming weary of their own wars, seemed willing to lay down arms, albeit on terms that were less than triumphant for the Americans. Their offer of peace was, however, just good enough to save face. On February 17, 1815, the Treaty of Ghent – ending the war of 1812 – was signed on the second floor of the Octagon House. Dolley opened up the doors of the house for a jubilant celebration that lasted for days. The Americans had suffered some humiliating defeats in the war and they had won few concessions from the British. But James Madison had proven that the President could prosecute a war without violating its constitution, and the nation proved that it could once again stand up for itself against one of the world’s great superpowers. After the war of 1812, Dolley united with some other women to take practical steps toward ameliorating some of the desolation – both personal and economic – that had resulted from the war. In the autumn of 1815 she became the first First Lady to champion a charitable cause: the Washington Orphan Asylum. After petitioning Congress for the land and other assistance, she personally donated $55 and a cow, and she helped to cut patterns for the girls’ clothes. During this same period, the Madisons would move out of the Tayloe residence and into the Seven Buildings, just down the street from the White House. They remained there until they retired to Montpelier in 1817. After decades as a public servant, James Madison finally established himself and his bride in the family home, Montpelier, for a well-earned retirement. The life of a gentleman-farmer was better suited to his retiring nature than to his wife’s gregarious one. But throughout her life her most constant and reliable source of happiness (as well as sorrow) was her close family ties, and no one was dearer to her than her husband. Once, after suffering through a bout of illness without her beloved sister Anna close at hand, she plaintively cried: “Alas! I always thought it would be my greatest misfortune to be separated from you that I loved most – for what in this world can compensate for the sympathy & confidence of a Mother & a sister – nothing but that tie that binds us to a good Husband – such are ours, & we aught to be satisfied.” She might grieve for absent family and friends, but she could only be happy near her husband. Although Dolley’s letters during this period touch on feelings of loneliness and isolation, Montpelier was usually bursting to capacity with houseguests. Visitors near and far – both intimate acquaintances and strangers – would make it a point to pay their respects to the couple. One party she hosted featured a barbeque for ninety guests at one long table on the lawn. Dolley once declared that she would rather entertain a hundred guests at Montpelier than twenty-five in Washington. She sometimes complained about the demands placed on her as a hostess, but she would have been miserable if lively society did not seek them out in their rural retreat. Winter made travel difficult, and this season relieved the couple of the most laborious demands of plantation life and entertaining. During these months their chief occupation was the arrangement, copying, and editing of James Madison’s political papers, principally his notes on the Constitutional Convention. In preparation for the Convention, Madison had researched the organization of six ancient and modern confederacies, so that Americans might learn from past mistakes in the formation of their own Union. But he had found the surviving records of these regimes very inadequate for understanding the reasonings behind their structure and organization. He meant for the American people to possess a more complete account of their Constitution than the Ancient regimes had left – for their own benefit and for the emulation of the world. He viewed his records as an important legacy to posterity – crucial for understanding the underlying principles of their constitutional government – and he meant to leave his papers in good order for a posthumous publication. Dolley’s interests had always revolved around promoting her husband’s interests. While he was engrossed in the editing and copying of his political writings, she served as his most faithful secretary. She wrote letters soliciting help to supply the gaps in his records; she helped bring order to thousands of pages of records and letters; and she made fair copies that would be ready for publication. Three years into the project Dolley wrote that the business “appears to accumulate as he proceeds—so that I calculate its out-lasting my patience. And yet I cannot press him to forsake a duty so important, or find it in my heart to leave him during its fulfillment.” She claimed that a “spell” rested upon them at Montpelier; “not a mile can I go from home – and in no way can I account for it, but that my Husband is also fixed there.” By the late 1820s, James had outlived all of the other Framers of the Constitution, and he was in possession of the only complete set of records of the Convention debates. During this period Dolley would have been the second greatest living authority on the Constitutional Convention. Retired life for the Madisons was not simply the idylls of plantings, parties, and penmanship. As one relation noted, there was “a serpent in the garden of Eden.” The Madisons had never had any children of their own, and Dolley’s son, called Payne, had lived up to his moniker. He was a gambler and an alcoholic, and he never managed to secure for himself either a career or a family. He frequently disappeared for months at a time, writing home only to ask for money, and strained his parents’ waning financial resources. James supplied about $40,000 to pay off Payne’s debts, only half of which he revealed to Dolley. She never gave up on her “dear Payne,” but he never justified her faith in him. Portrait of Dolley Madison c. 1820 by John Frances Eugene Prud’homme. The Madisons took only one extended trip away from Montpelier during their retirement years. They stayed in Richmond while James attended Virginia’s Constitutional Convention, which took place over the winter of 1829-30. Dolley found the parties and the society delightful; her letters described the dinners they attended and the company they enjoyed with cheerful detail. James made only one significant speech during the whole of the official proceedings, on the subject of slavery and representation. The secretary at the convention recorded that when the elderly statesman rose to speak, “the members rushed from their seats and crowded around him.” The speech was as compelling, trenchant, and humane as any he had delivered in his prime. It was apparently listened to with great respect. When he finished, the speech was almost completely ignored; neither its recommendations nor the rationale for them had any discernable effect on the subsequent debates or the outcome of the convention. The Madisons had entered a period when they were more often viewed as symbols of the past glory of America rather than as participants in its present imbroglios. By the mid-1830s, James Madison had become increasingly frail and infirm, though his mind and his conversation remained vibrant to the very end. Dolley was his constant companion and nurse, often depriving herself of necessary exercise and occupation in order to stay by his side. He died quietly on June 28, 1836, at the age of 85. Dolley was inconsolable, and for a time was incapacitated from grief and sickness. But she would need to regain her strength in order to fulfill his final wishes. After her husband’s death, Dolley remarked wistfully, “he left me many pledges of his confidence and love. Especially do I value all his writings.” But with that token of his love and esteem also came a heavy responsibility: “he left me too a charge, dear and sacred.” It was Dolley who would have to navigate the difficult process of getting James Madison’s papers published. James’ interest in a posthumous publication for his writings was genuinely a concern for the edification of posterity, but he had another motive. He also hoped that the money garnered from the sale of his papers would provide a legacy of a more utilitarian kind for his wife. The Montpelier estate had been hemorrhaging money for years, and he knew that his widow could not depend on the plantation for her support. He estimated that his papers would fetch about $100,000. He even tied bequests in his will to the sale of these papers. Unfortunately, his expectations had been too sanguine. The publishing industry at this time was undergoing upheavals which were making it difficult to make any considerable profit from selling volumes of this sort. Dolley, an untried novice in this business, also made some unfortunate choices. Her solicitations at several different publication houses seeking the best price gave offence. Not all of the people from whom she sought advice were qualified to give it. And worst of all, she commissioned her son, Payne, to manage some of the negotiations. That choice proved disastrous, burning the few promising bridges left. The offers she was receiving were nowhere near what she had been hoping for, and many publishers expected her to share the costs as well as the profits of publishing. In the end, it was Congress that agreed to purchase the papers. They bought the first volumes – including the long-awaited Notes on the Constitutional Convention – for $30,000 in 1837. They bought a second installment for $25,000 in 1848, the year before Dolley’s death. The second purchase price was established into a trust fund for Dolley, so that her ne’er-do-well son would be barred from frittering it away. Her life entered a stage of dignified penury. She was the toast of the town, frequently sought out as a guest by the most distinguished personages. On January 8, 1844, Congress bestowed on her the singular honor of a seat on the House floor whenever she chose to visit. But she did not possess the financial resources to offer the lavish hospitality or cut the fashionable figure she once could. Various friends, guessing her dire situation, gave her gifts of provisions. Even her former slave, Paul Jennings, gave her money out of his own pocket. She was eventually forced to sell Montpelier. 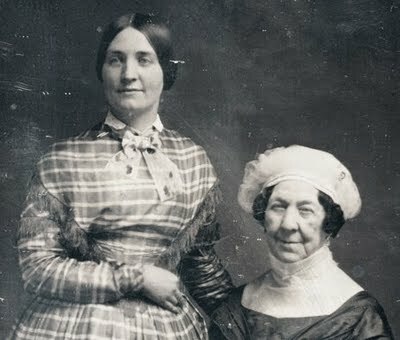 An 1848 daguerreotype of Dolley Madison with her niece and constant companion, Anna Payne. Right up to her last years, Dolley’s life was not without adventure and occupation. In May of 1848, her house caught fire. Paralleling the burning of the White House decades earlier, Dolley refused to leave before her husband’s papers were secured. She also continued to aid charitable causes. Mrs. Madison, along with the widows of Alexander Hamilton and John Quincy Adams, united forces to raise funds for the Washington Monument. Mrs. Madison was of course invited to be present at the laying of its cornerstone on the Fourth of July, 1848. She sat at the dais with President Polk and numerous other distinguished guests, including a young Congressman named Abraham Lincoln. It was to be her last public appearance. Dolley Madison died in her Washington home on July 12, 1849. Her funeral was held at St. John’s Episcopal Church, the same church where she had been confirmed only four years earlier. The homages bestowed upon her after her death were a fitting testament to the importance of her life. The city of Washington closed down to provide a state funeral for her, the largest the capital had ever seen. Hundreds would come to pay their respects. President Taylor referred to her as the “First Lady” in his eulogy, the first time that term was ever used. It was probably George Washington who established the standard for presidential deportment, but Dolley Madison became the model of what a first lady should be.